Tiny living is stepping up its game to upgrading classrooms. Thanks to the popularity of tiny houses and structures, portable classroom are no longer a boring beige cargo container with windows serving as the cooling and heating unit. Instead, classrooms can look forward to a complete 360 degree transformation that is totally affordable too! 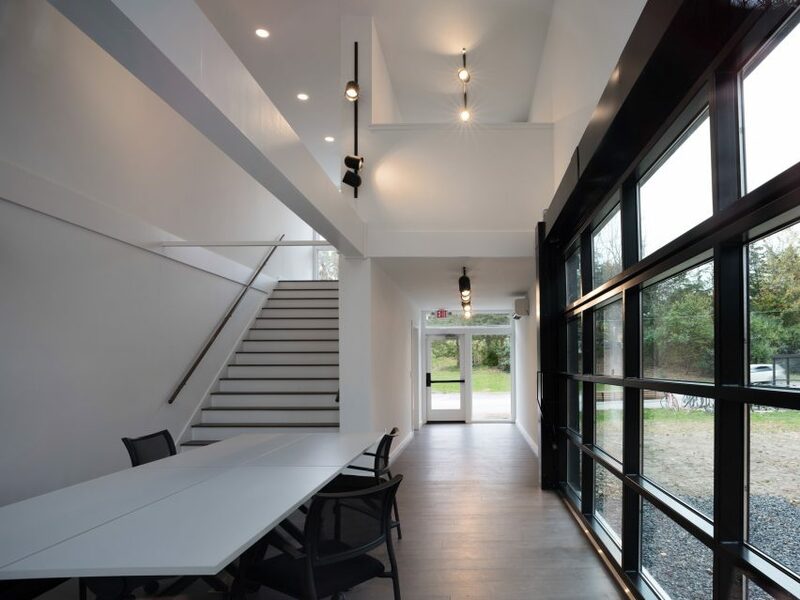 This sleek and modern designed classroom is part of Bard University Media lab. The graduate classroom is equip for students and faculty to excel in media designed research projects from managing blogs to content management systems and even three dimensional virtual reality space. In order for this class to even exist, the school needed an architectural firm that would be able to design such a unique space to fit the needs of the lab. To do so, they turned to New York based, MB Architecture. 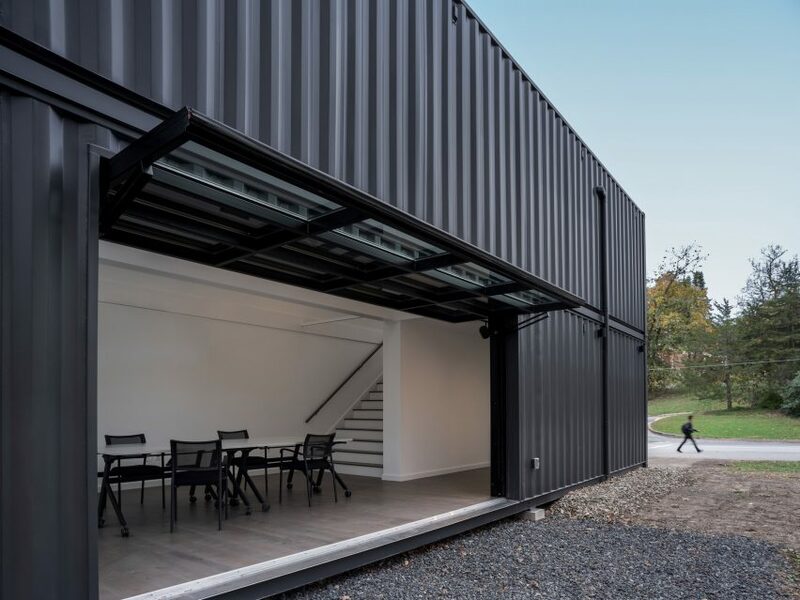 This firm designed the classroom to be a total of 945 square feet and it was made up of a total of four 40 by 8 foot Corten steel recycled shipping containers. The model of the classroom was inspired by their Container Studio and Insta House model. Created in 2009, this tiny house was the first of its kind and it was a sort of exploration to see if there was a way to create affordable housing that would be able to fit a whole family, plus a reasonable work space. 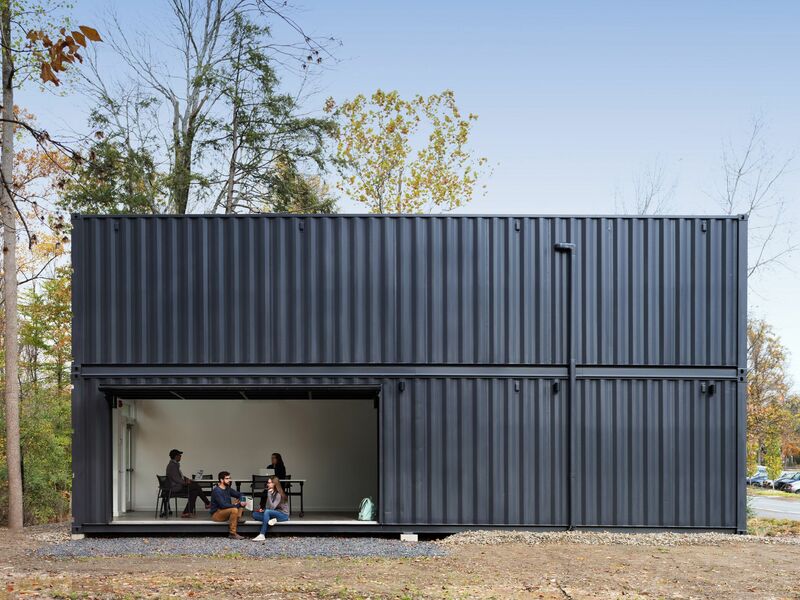 The result was the creation of a double height, four container model nicknamed the Insta house. This pre-fabricated home had two bedrooms, two bathrooms, a complete kitchen and living room. Even more exciting, this tiny house pieces (i.e. walls, doors, windows) were created in eight weeks and installed in one day all for the low cost of $169,000. As for Bard Lab, the classroom includes floor to window glass walls located at the ends of the container that stand at an impresive 8 by 8 feet tall. There is also an air conditioning unit and best of all a large mobile garage door. This door has an opening of 16 feet, great for letting a nice breeze flow through the lab and also serve as easy access to the outdoor gathering space located on the south side of the classroom. The cost of building and retrofitting this portable classroom to fit the needs of the lab costed a bit over $200,000. The unit itself costed a modest $135,000 and the rest of the costs came from the extra modification and additional upgrades necessary for the classroom. Overall, this tiny classroom shows that you do not have to go big to have a new and exciting classroom that can work for your school or work space! What amazes me is things seem to be getting smaller and larger at the same time! It’s awesome what you can do with tiny houses! These look fabulous. Aesthetics are so important to making learning inviting. I think so too 🙂 Thanks for stopping by! The Mid-Atlantic Tiny House Expo being held May 12–13 at the Fredericksburg Expo & Conference Center, 2371 Carl D. Sliver Parkway, Fredericksburg.